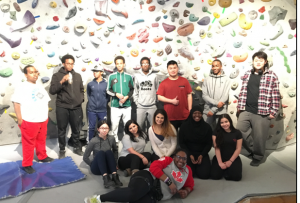 On Wednesday March 15, 2017, CultureLink Youth programs took 22 youth to Joe Rockhead’s for indoor rock climbing. For many of them, it was their first time and here is what some of them had to say. Thank you MEC and MEC Outdoor Nation for this opportunity. We had and amazing time.